Nepal, the land of splendid nature and wealthy culture is awaiting your exploration through its completely different aspects. Kathmandu-Chitwan-Pokhara tour offers you a chance to explore three totally different regions of the country, variable from the cultural and heritage hub teemed with the fascinating ancient building like Kathmandu, the breathless scenery of Annapurna range from Pokhara, and therefore the huge, fertile forest like Chitwan national park in Terai region. This outstanding trip can cause you to understand that Nepal has abundant to offer. Kathmandu-Chitwan-Pokhara tour lets you immerse and relish in the completely three different aspects of Nepal culturally, naturally and religiously. 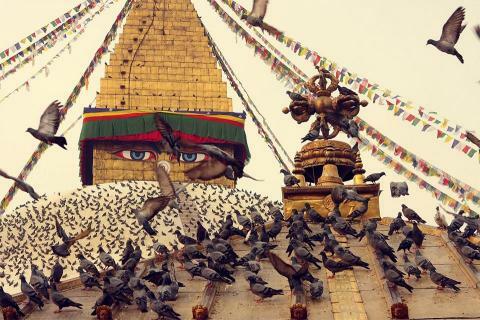 Kathmandu is understood as the town of the temples and pleased the rank of “World Heritage Site” by UNESCO. 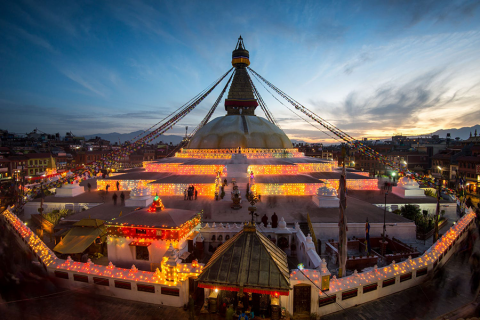 Around Kathmandu, we tend to have splendid sight of historical atmosphere and Pilgrimage around Pashupathinath( the sacred temple of Hindu’s), Boudhanath( Biggest Stupa of Buddhist), Swayambhunath(Monkey Temple), Kathmandu durbar square, Bhaktapur Durbar square and many more. Likewise, Chitwan National Park is located 120km South-West part of the Kathmandu in the tropical and sub-tropical inner Terai Lowland. Chitwan national park lies at the heart of the Jungle at Terai region of Nepal in Chitwan, Parsa and Bara district that covers 932sq.km at the flat lowland of Nepal. It is the first national park among the other national park of Nepal which was established in 1973 to conserve unique Eco-system markedly valuable to the World. 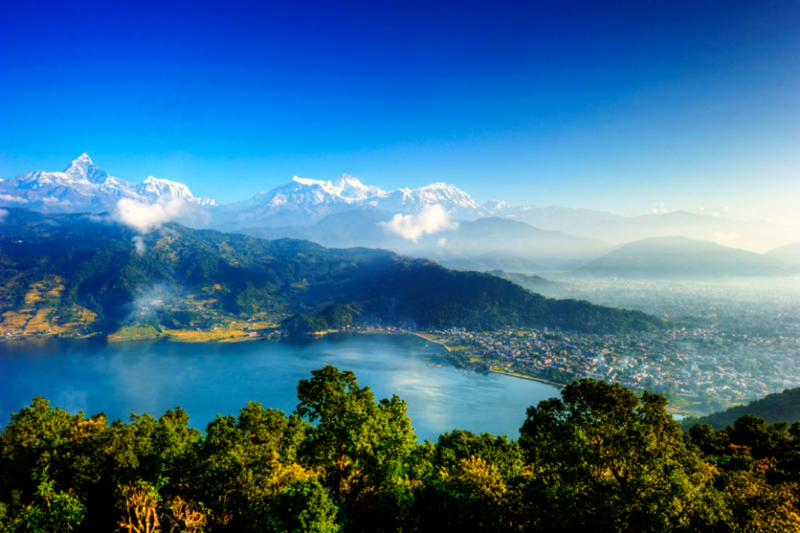 Unlike Kathmandu, Pokhara is a wondrous town and one among the foremost well-liked traveller destination located 200 kilometres aloof from Kathmandu, Pokhara is unmarked by splendid massif Annapurna Ranges and picturesque covering mountains. You can independently do Either 4 days 3 night Kathmandu Pokhara tour or 4 days 3 night Kathmandu Chitwan tour as well. Even though you can take the tour of Kathmandu, Chitwan and Pokhara almost in every season still the Spring and Autumn are the best seasons. Autumn falls on the month of March to May. Likewise, Spring falls on the month of September to December. The reason that these two seasons are the best time for Kathmandu Chitwan Pokhara tour is the scenic beauty that Nepal holds during this time. Scenic drive to Pokhara and explore around Lakeside in the evening. Sightseeing in Pokhara and explore around UNESCO world heritage sites in Pokhara. Our Kathmandu Chitwan Pokhara tour itinerary is prepared in such a way that you can explore around these three places and totally relish in every part these places offers. The natural beauty, the culture and traditions and additionally, History and religion these places hold could be totally explored by the well-prepared itinerary. Today will be an important day. After you wake up and have breakfast you’ll go for a canoe trip in Rapti River to enjoy the exploration of over 600 different types of birds species found in Chitwan National Park. You’ll relish the canoe trip for about one hour and start your jungle safari in Chitwan National park where you can spot tigers, deer, rhinos and more other wild species. You’ll return back to Hotel for lunch and go for 3 hours elephant ride jungle safari, Pay your visit to Tharu community. Finally, in the evening, you’ll get to relish the cultural dance show after dinner. Today, after breakfast you’ll drive to Pokhara by bus and rest for a while. The drive today will be for about five hours. After having the rest, in the evening you can visit around Pokhara city and explore around Lakeside. Early in the morning, you’ll take a drive to Sarangkot. Sarangkot is the popular hill in Pokhara that offers the beautiful morning sunrise. After that, you’ll have breakfast at the Hotel. Today you’ll have a full day guided sightseeing tour of Pokhara city. 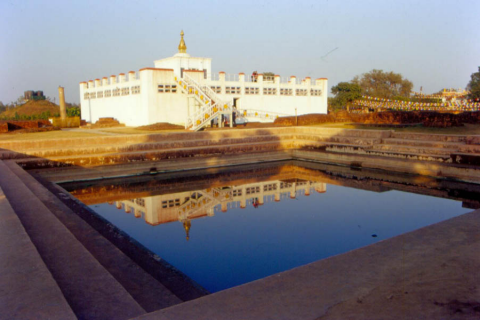 you’ll pay your visit around World Peace Pagoda, relish boating in Fewa Lake and visit Davis falls. Likewise, you can visit different caves in Pokhara as well. Finally, at Evening you’ll fly back to Kathmandu. Overnight in Kathmandu. You can add one hour Mountain flight tour starting from Kathmandu (costs extra $ 185), Half hour paragliding starting from Sarangkot,Pokhara (costs extra $ 85 ) along this trip.